When it comes to providing Android updates, there is no denying the fact that Nokia is doing a commendable job. 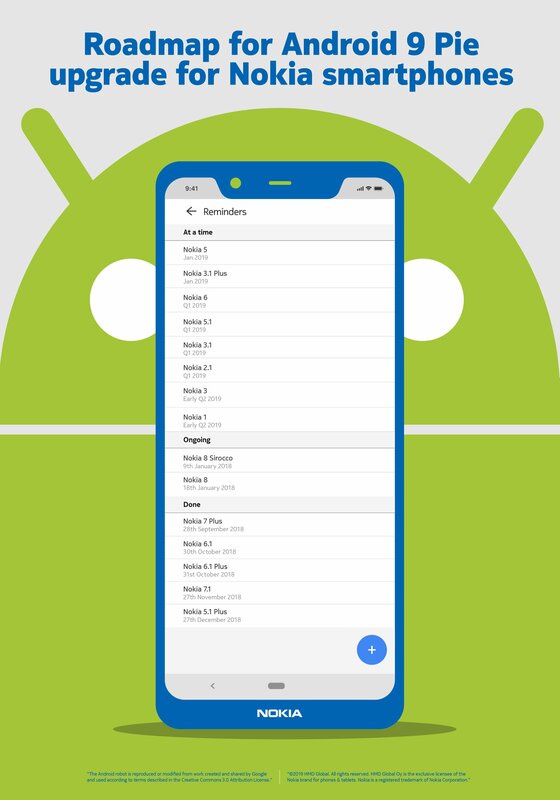 Since all the phones launched by Nokia last year are Android One branded, they will get two major Android updates, and today, HMD Global unveiled the Android Pie Update Roadmap for the Nokia smartphones. This roadmap reveals that even the Nokia 1 is getting the Android Pie update this year. Now, the list doesn’t include the Nokia 2 and the reason for this might be that it is still having the Oreo beta and is yet to receive the stable Oreo update.